The Lebanese Presidential Election in Context: Iran’s taste of Defeat? The Islamic Republic of Iran continues to capture the world’s attention. With a stickler President Hassan Rouhani as well as the international community’s evident focus on its nuclear weapons program, coupled with the country’s interference and role in the ongoing crises across the Middle East, the attention Iran continues to grab has kept it firmly in the international spotlight. Despite the fact that Iran has been apparently “isolated” from the international spectrum since the Islamic Revolution (1978 – 1979), its borders have by no means been closed off. In fact, the country has been subject to numerous waves and hosted overwhelmingly significant flows of, emigration and immigration across its recent history. 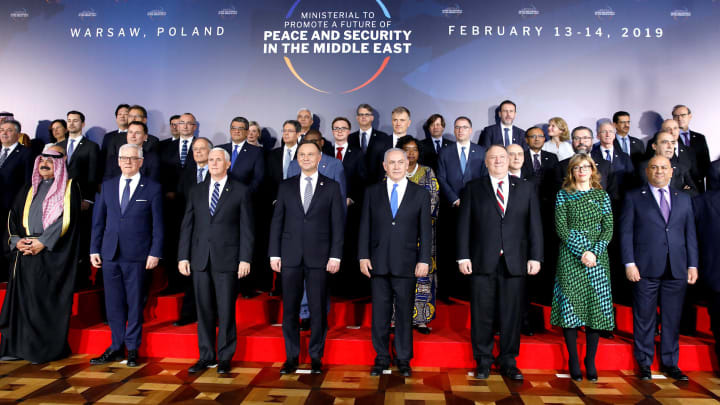 This reality indeed is driven by key political events and shifts in the country’s foreign policy directives and internationally perceived role across the Middle Eastern region, and on a more global scene. Moreover, what happens to be the main reason behind Iran’s migration story being so specific is that it has been subjected to coinciding emigration and immigration patterns quite extremely. Recently, it is claimed that Iran is producing one of the highest ever recorded rates of brain drain internationally, while also managing to top the list as the world’s largest host to the ever-growing international refugee community – mainly for Afghans and Iraqis. Through these movement trends, Iran has also exhibited, and continues to exhibit, one of the highest urban growth rates internationally, mainly driven by internal migration from rural areas. This research will attempt to answer the question of how Iranian emigration has stood up to more nuanced understanding of mobility in the 21st century through relying on tangible examples surrounding Iran’s attempts at reform and attempts to re-attract its diaspora to their homeland. Perceptions among the international and diasporic Iranian community in regard to Iranian migration all center around one major concern: that for whatever the actual reasoning behind it is, Iran continues to hemorrhage its brightest and most employable young educated elite as they migrate in search of countries with better opportunities and a more stable future. These concerns have echoed throughout public and academic discourse for years now, and are also very clearly reflected upon in the evolving international discussions regarding migrant and refugee movement patterns in the 21st century. For Iranians however, the unfortunate reality of the manner through which the Iranian state is forcefully pushing its educated elite to migrate seems to have settled in their minds as a sort of sociological aspect of Iranian culture that the community has simply come to terms with. Iran’s Minister of Science, Research and Technology Reza Faraji Dana stated that, “Each year, about 150,000 highly talented people emigrate from Iran, equaling an annual loss of $150 billion to the economy.” Despite the minor fact that the monetary value may or may not be entirely accurate, as the Organization for Economic Co-operation and Development of the UNDESA placed the economic burdens of Iran’s human capital flight at $50 billion in 2012, the reality on the ground is that the Iranian Government has experienced and continues to experience one of the most elevated rates of brain drain in the past decades. The International Monetary Fund (IMF) found that Iran currently has the highest brain drain rate globally. In their report, approximately 25% of all Iranians who have completed post-secondary education currently live in “developed” world. Faraji Dana further elaborated upon the fact that the Iranian Government needs to supply its general population with “the proper conditions for the return of experts to the country.” The Minister went on to express his fondness of the Chinese migration policy model, a model he believes sets an example in bringing its educated elite back into the country. 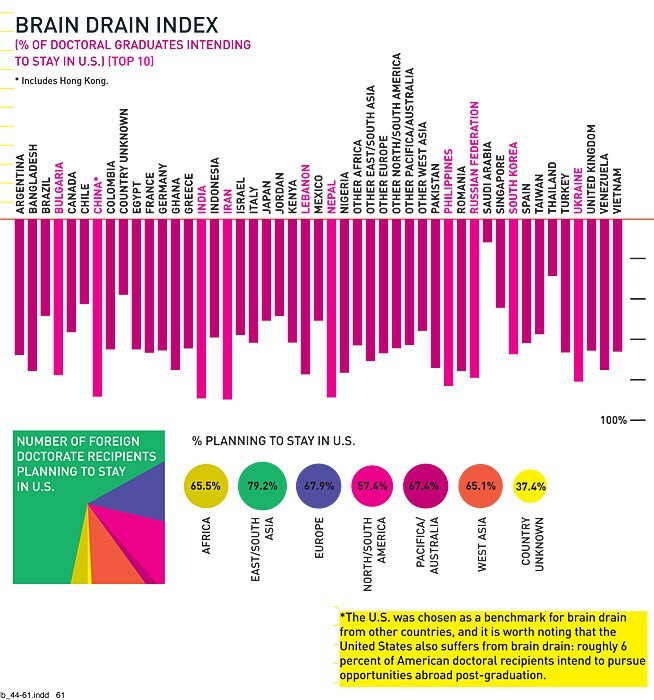 A more tangible example of this reality is perhaps the World Resources SIM Center currently placing Iranian Doctoral students among the top 10 nationals who intend to stay in the United States upon their completion of their education as part of their Brain Drain annual analysis (See Figure 1, pg. 6). Arguably acting as a fundamental bridge both geographically and culturally, Persia has connected the civilizations of Asia, the Near East and the Mediterranean throughout its history. It has also assisted in laying the foundation for the modern world of the 21st century. From 648 BC until the 4th century BC, Indo-European Aryan tribes and the Medes possessed stronghold on the region which began from Pakistan and extended across the Aegean coast of Turkey, when Alexander the Great conquered Persia. Across its history, other invaders, namely the Greeks, Arabs, Mongols, and Turks followed with their rules over the region successively, each indeed influencing Persian culture through various aspects of their philosophy, art, science, and predominantly, their religion. This social layering and diversity in ethnic groups is still very evident in today’s Iran. Persians currently constitute only 51% of the overall Iranian population. Whereby different demographic groups include the Azeris which constitue 24%, the Gilaki and Mazandaranis which stand at 8%, the Kurds currently constituting 7% , the Arabs forming 3%, and minor groups including the Lurs, the Baluchs, and Turkmens who each form a mere 2% respectively. Throughout its history, emigration movements have constituted a major chapter in the Iranian story. The Persis migrated to West India post- Arab conquest in 936 AD. Moreover, in the mid-nineteenth century, shortly after the emergence of Baha’ism, believers fled to the Ottoman Empire after facing religious and social persecution in Iran. During the period between the late nineteenth century and in the early twentieth century, Iranian intellectuals of the elite social classes of Iran were forcefully driven outside the country due to their call for reform throughout the period leading up to Iran’s Constitutional Revolution of 1905. Immigration to Iran has also constituted a major part of the country’s history, as well as an integral aspect of their foreign policy directives even today. Immigration to Iran by the Afghans, a clear example of these movements, dates back to the end of the nineteenth century. The rise of Sunni Pashtuns in Afghanistan triggered the migration of numerous Shia Hazaras, an ethnic and religious minority who feared persecution, into Iran. The Afghan populations which migrated and subsequently integrated into the Iranian society between the late nineteenth and early twentieth centuries were eventually naturalized as Iranian citizens. They went on to be formally classified as Khavari or Barbari, one of the official Iranian ethnic groups. Furthermore, patterns of migration proceeding and immediately following the Islamic Revolution of 1978, which overthrew the Pahlavi dynasty and in turn its Monarch Mohammad Reza Shah in favor of forming an Islamic theocratic state, evidently stimulated one of the most vast collective emigration waves from Iran throughout its history. The term “brain drain” is often resorted tow when discussing large-scale human capital flight which is characteristically constituted of the youth and educated elite of a country predominantly. The term was first expressed during the aftermath of the Second World War, when the majority of intellectual class left a converging and war torn Europe for a more stable and progressive lifestyle in the United States of America. Migration movements of this nature are often a major game change in the quest for long-term development of a country which is “exporting” members of its youth, educated, and intellectual classes. Migration becomes brain drain when the anticipated consequences are, simply put, a hindrance to the development and the evolution of the state across its various sectors. Brain drain has constituted a major negative socio-economic burden in Iran for decades of the country’s history. It has been the main reason behind a loss of valuable human capital as well as the main catalyst behind the constrains in the country’s economic development. The migration of young and educated Iranians has spanned across various phases within the post-revolutionary Iran of today. However, a noteworthy fact is that even prior to the Iranian Revolution of 1979; one of the major reasons behind young people migrating from Iran was in order to secure a higher educational degree. Despite this fact however, during the post-revolutionary decades an increasing number of students never returned back to Iran. Throughout the aftermath of the Iranian Revolution, arbitrary legal arrests, confiscations, discrimination on the basis of religion, coupled with other sources of inconvenience and tension to the population’s lifestyle, further compelled a large number of Iranians to migrate from the country. Eventually, the Iran-Iraq War (1980) became the foundation for a massive wave of emigration, as well as the catalyst for the exit of youth, educated elite, and intellectuals’ integration and permanent settlement in neighboring countries. Moreover, in the post-war period, throughout Iran’s convergence and rebuilding of its infrastructure, a major faction of families migrated from Iran for economic, political and social reasons which mainly encompass a highly tight and highly competitive and domestic job market. Migration from Iran peaked between 1989 and 1993. Throughout this period a net 2.2 million individuals left the country according to a report by the World Bank. By 2000, the number of migrants dropped to less than 100,000 individuals – a number which according to discourse is too little to be considered an alteration in statistics in this case. Migration trends further intensified under the rule of Rouhani’s predecessor, Mahmoud Ahmadinejad, whose aggressive rhetoric targeted at the United States of America and the Israeli Government, coupled with his refusal to cooperate in the processes of monitoring of Iran’s nuclear arsenals and programs, led to stricter sanctions and even further isolation of the country on the global scale. Agreements between Rouhani and other power players on the international scene have resulted in an estimated USD 13 billion in sanction relief. Under the rule of President Mohammad Khatami in the late 1990s, it is worthy to note that the migration trends witnessed an unprecedented reverse. Although shortly lived, Iran beheld a substantial wave of Iranians re-entering to the country. This return of the Iranian diaspora immediately converged with the rising investments of both international and domestic private companies. These investments paved the way for the creation of more job opportunities for the young, educated and skilled Iranians who wanted to come back to their country. Furthermore, the Khatami Administration was also able to attract several Iranian families from the upper-business class whose assets and companies had been appropriated during the post-revolution period. The return of this important demographic faction to Iran, coupled with the gradual stabilization of their status within the country acted as an incentive for several members of the diaspora to consider returning to Iran. 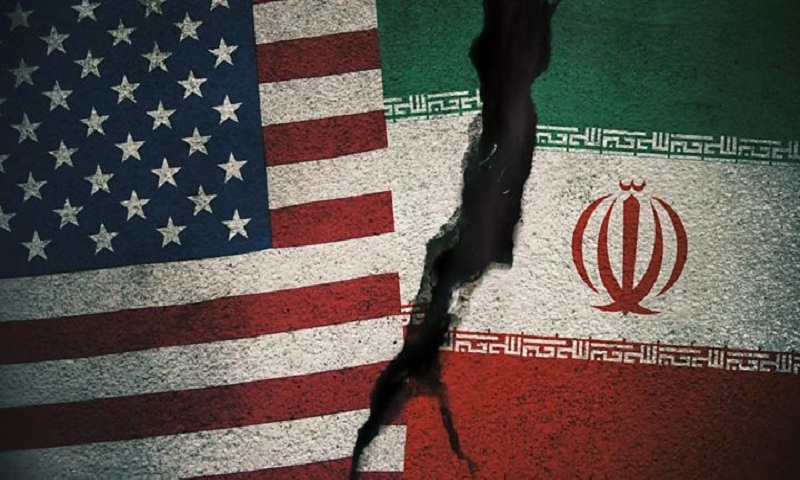 Following this brief period of an influx of the Iranian Diaspora back into the Iranian territory, the trend reversed once more post-US invasion of Iraq (2003) – as this created a fear among Iranians that the US would in turn instigate an attack on Iran subsequently. The election of Ahmadinejad (2005), coupled with the rise of a tightly monitored, security-driven, and rigid regime enticed Iranians to migrate once more. Main destinations of Iranians were identified as the United States, Central Europe and Dubai in the Middle East. Throughout Ahmadinejad’s first term, his government established the High Council of Iranian Affairs Abroad a structure which was subservient to the Office of the President. The Council was tasked with the challenge of solving legal, political, and social issues of expatriate Iranians in order to facilitate their return to Iran. During this period there were also mild success stories in appealing to investors from the Iranian international diaspora; however, the turbulent events of 2009 put a halt to the government’s hope of luring a substantial numbers of Iranians back into the country. 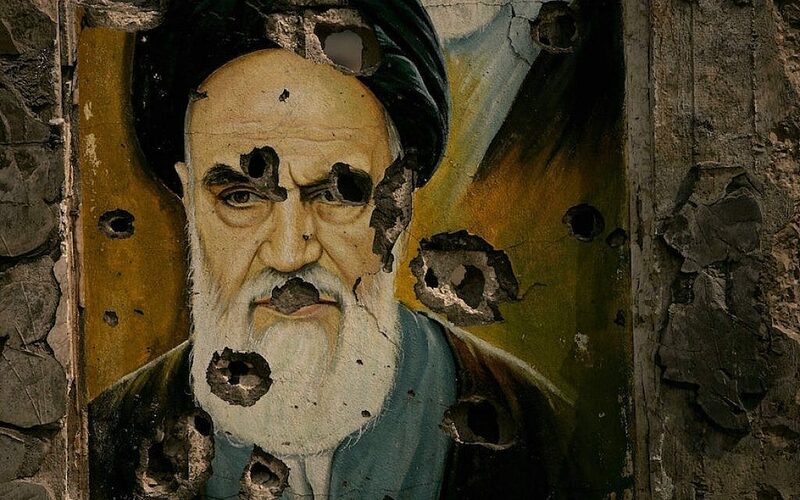 As a matter of fact, the post-election protests turned violent, and this only deepened the desire of several factions of youth and educated Iranians to leave the country once more. Evidently, local companies in Iran have been hit with the reality of Iran’s brain drain epidemic. Moreover, this reality along with the high inflation rates, the devaluation of currency, as well as the subsidy reforms are only some of the major obstacles these companies face before even entering into their profit margins. Furthermore, the majority of Iranian who fled the country at different times throughout its history has decided to do so because of the social restrictions, discrimination against minority groups and other socio-economic limitations which come along with living in Iran. Alizadeh, Hakimian, and Karshenas further elaborate upon the fact that an easing of social and cultural policies may also lay the foundation for the return of members of the Iranian diaspora. The authors conclude that Iran needs to take into account the fact that it is not solely about compensation levels but that it is also fundamentally rooted in the expression of personal and social freedoms, and the availability of basic services and infrastructure to the general public at all levels. Hundreds of thousands of Iranians have fled Iran in recent years. 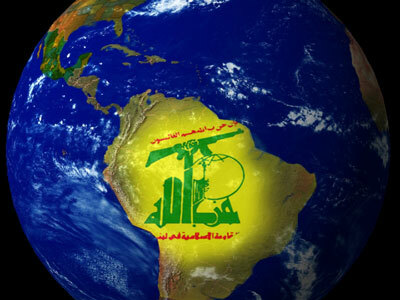 Estimates of various sources state that by 2010, there were four to five million Iranians living around the world, mostly in North America, Central Europe, Persian Gulf States, Turkey, Australia and the broader Middle East. Their main reason for migration was the search for jobs and higher incomes. During the past two years (2014 to 2016), at least 40% of top-performing students who have undergraduate degrees in both science and engineering migrated from Iran in pursuit of advanced degrees, according to the Iranian National Elites Foundation. The foundation also found that engineering students are mostly heading for Canada, Australia, Germany, and Sweden. Three years after his election as President, Rouhani is still under immense pressure to live up to his campaign promise to reduce the overwhelming rates of brain drain which are the major reason for the to the country’s economic obstacles. Between 2009 and 2013, net emigration from Iran was estimated at 300,000 based upon the World Bank’s report of that year. During this time interval, Iranians studying in the United States increased by 25% (more than 8,700 individuals) in the academic year of 2012-2013 alone according to the Institute of International Education (IIE). Based upon a survey conducted by the National Science Foundation in 2013, the majority of these students will not return. Eighty-nine percent of Iranian Doctoral students intend to remain in the United States post-graduation. Though Rouhani had pledged during his campaign for presidency that he would work o the reduction of youth unemployment as a major priority, unemployment among Iran’s youth (15 to 29 years old) remains stable at 26%, which is twice the national average. In an interview for a book, Dr. Reza Mansouri, former Deputy Science Minister from 2001 to 2005 states further that the reason for the large outsourcing of young talent is attributed to the fact that students want to be able to “develop and grow intellectually,” and that Iranian social, economic and cultural constraints do not allow for this. Mansouri further blames the exit of Iran’s brightest and skilled youth to the absence of any forms of structured investment in science, as well as to the emphasis on religious ideology in higher education. He states that the government of Iran spends less than about 2.5% of its GDP on research in the fields of science and technological advancement. Evidently, and parallel to the nuclear negotiations and agreement, election promises made by Rouhani have not materialized. This is especially seen with regard to Rouhani’s efforts “to de-securitize” the societal atmosphere. In the areas of “true” reform, the civil liberties dimension of his electoral promises has failed to materialize as well. This is mostly due to the constitutional limits to the President’s power in the shaping of the country’s internal matters. Moving from this highly critical reality, the President is limited in his ability to even promise any form of “real” reform. The head of the judiciary is appointed by the Supreme Leader and the minister of intelligence is appointed with his explicit approval. Moreover, from a human rights approach one can state that these are the two most critical and important government posts in Iran. The consistent attempts to limit the President’s authority on domestic matters even further increased with the signing of the nuclear agreement. This deal acted as a key factor in the Supreme Leader’s wish to illustrate both his conservative base, while maintaining his opposition to the establishment of relations with Washington, or to allowing any infiltration of Western cultural influence as a consequence to the opening of improved trade relations with the European Union. These factors amplified in importance during parliamentary elections in February 2016, where the hard-liners did everything in their power in order to prevent President Rouhani from capitalizing on the “political victory” of the nuclear deal and gaining additional supporters in parliament – a matter that they were successful at preventing. The realization that Iran needs to make a huge leap in investment and trade is discussed across several political and academic circles. This leap cannot be achieved by only depending on domestic resources. However, there are many challenges Iran needs to overcome before the dividends of new policies will result in anything tangible. Coupled with the effects of amendments within economic policy, the Rouhani’s political agenda raises both hopes and anxieties for Iranians. Often enough factors such as who will benefit from greater interaction with the international community, and whether or not this interaction will have any effects on the social and cultural fabric of the country are placed into perspective. Iranians’ anxieties and hopes today are not much different from those uttered throughout the 20th century when the Pahlavi Monarchy undertook modernization projects which included infrastructure building, raising literacy rates and working on further developing industries. The difference is that in some regards, the Iranian economy as well as its society has already developed past these basic realities. Today, it is the factionalized political class of elites which lags behind in their notions of development – a political and social interplay which currently paralyzes Iran. The election of Hassan Rouhani as President of Iran in 2013 has generated a positive mood among the Iranian diaspora. However, whether or not this translates into a reversal of migration trends is highly debatable. Although the shift in government initially encouraged the Iranian diaspora to travel back and assess the socio-economic and political situations on the ground, no tangible results in the areas of unemployment or brain drain reduction have been witnessed in almost three years now. Although perhaps slowly but surely headed in the right direction, Iran currently needs to tackle the more practical issues such as technological infrastructure, internet restrictions, access to proper and affordable health care, pollution, as well as the lack of safety in transportation – all of which still constitute major deal breakers when it comes to Iranians consideration of moving back to Iran after having access to all of the above in more developed countries. Moreover, although the anticipated economic crises in Western economies might encourage numbers of Iranian graduates to eventually return to Iran, such an influx would also strongly depend upon the ability of the Iranian Government to create the necessary job opportunities and offer the compensation levels that Iranians now know they are worth, and in turn expect. Similar to the minor boom in the late 1990s, these compensation levels are likely to emerge if Iran attracts more international companies who positively compete in order to secure their needed educated and skilled workers. Moving from this, the country will need strong and strategic political, economic and social reforms in order to be able to attract Iranians to return to their home country. 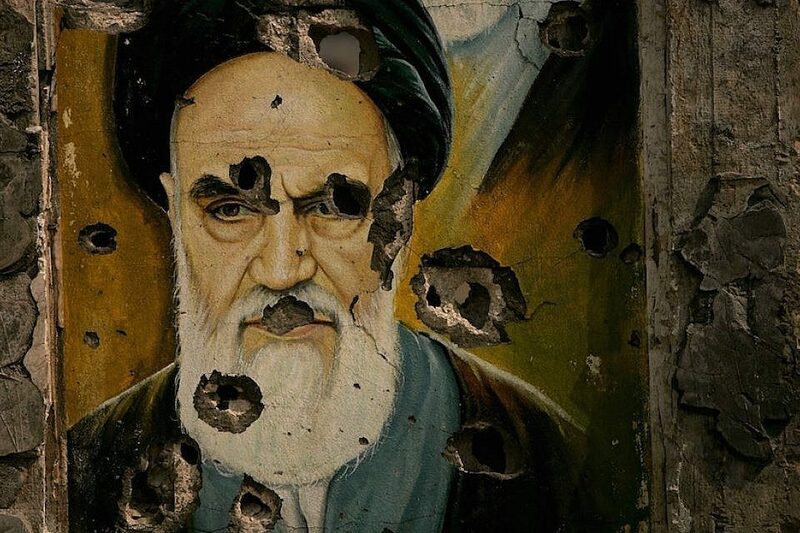 Iranians have witnessed the swings and waves of political conditions too many times throughout their country’s history, and will not take on such a risk unless drastic measures are taken, and minimum standards are met. What the Rouhani Government can do today, similar to the first Khatami term in the late 1990s, is improve social and economic conditions in order to attract the Iranian diaspora eventually capitalize on its “brain drain” in order to sustain its own economy. Reconciliation and real promises to Iranian diaspora will be fundamental at this stage of transition — not only due to the potential “brain gain,” but also due to its potential to invest within the country and eventually connect the Iranian economy to more universal and international technological, economic and social trends and standards. The Iranian Revolution (also known as the Islamic Revolution or the 1979 Revolution); refers to events involving the overthrow of the Pahlavi dynasty under Mohammad Reza Shah Pahlavi, who was supported by the United States and its eventual replacement with a National republic under the Grand Ayatollah Ruhollah Khomeini, the leader of the revolution, supported by various leftist and Islamist organizations and Iranian student movements. Iran is also known as Persia. The name officially changed after the Revolution of 1934. But the name “Persia” is still used in academic and social discources. Persis are Persians who followed the Zoroastrian faith. Baha’ism is a monotheistic religion which emphasizes the spiritual unity of all humankind. Three core principles establish a basis for Bahá’í teachings and doctrine: the unity of God, that there is only one God who is the source of all creation; the unity of religion, that all major religions have the same spiritual source and come from the same God; and the unity of humanity, that all humans have been created equal, coupled with the unity in diversity, that diversity of race and culture are seen as worthy of appreciation and acceptance. Sunni Pashtuns historically known by the exonyms Afghans are an ethnic group with populations in Afghanistan and Pakistan. They are generally classified as Eastern Iranian ethno-linguistically, who use Pashto language and follow Pashtunwali, which is a traditional set of ethics guiding individual and communal conduct. Rumbaut (1994), Origins and destinies: Immigration to the United States since World War II, Sociological Forum, Volume 9, Issue 4, pp 583-621. Korale (2004), Migration and Brain Drain, Economic Policy in Sri Lanka: Issues and Debates, SAGE Publishers, pp. 300-306. Hamdhaidari (2008), Higher education during the Islamic government of Iran (1979–2004), International Journal of Educational Development, Volume 28, Issue 3, May 2008, Pages 231–245. The Iran–Iraq War was an armed conflict between Iran and Ba’athist Iraq lasting from September 1980 to August 1988. Protests against the 2009 Iranian presidential election results (a disputed victory by Iranian President Mahmoud Ahmadinejad) and in support of opposition candidates Mir-Hossein Mousavi and Mehdi Karroubi occurred in major cities nationwide from 2009 into 2010. Alizadeh, Hakimian, & Karshenas (2000), The Economy of Iran: The Dilemma of an Islamic State, Volume 29 of Library of modern Middle East studies, I.B.Tauris Publishers. Iranian National Elites Foundation is a government-run organization that supports academically gifted and high-achieving students. The IIE An independent not-for-profit founded in 1919, IIE is among the world’s largest and most experienced international education and training organizations. The Iran National Science Foundation (INSF) is an Iranian government agency that supports fundamental research and education in all the fields of science, engineering and medical science. Lotfalian (2004), Islam, Technoscientific Identities, and the Culture of Curiosity, G – Reference, Information and Interdisciplinary Subjects Series , University Press of America. The Supreme Leader of Iran is the head of state and highest ranking political and religious authority in the Islamic Republic of Iran. This post was established by the Constitution of the Islamic Republic of Iran in accordance with the concept of the Guardianship of the Islamic Jurist. The powers of government in the Islamic Republic of Iran are vested in the legislature, the judiciary, and the executive powers, functioning under the supervision of the Absolute Guardianship and the Leadership of the Ummah that refers to the Supreme Leader. Ms. Diab holds a B.A. in International Affairs and Diplomacy, an M.A. 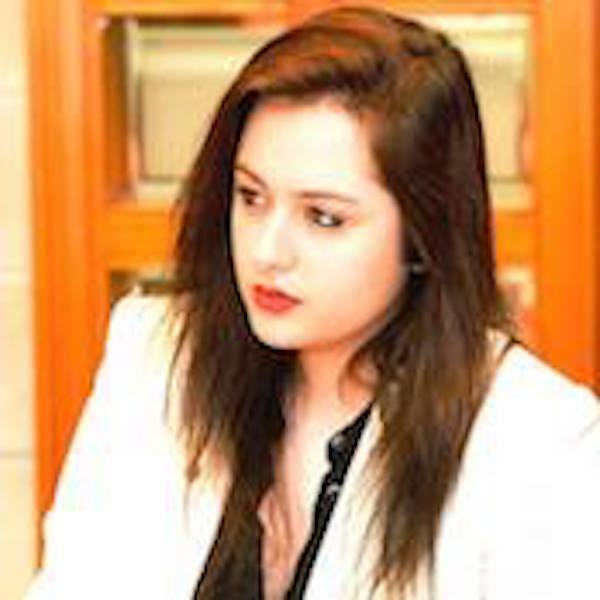 in International Law from Notre Dame University-Louaize in Lebanon, and is currently pursuing a Master of Advanced Study at Saint Joseph University of Beirut in Democracy and Human Rights. The positions she holds include Office Manager, Junior Researcher, and Project Coordinator at the Lebanese Emigration Research Center at the Faculty of Law and Political Science at NDU, Operations Manager and Youth Coordinator at the Lebanon Dialogue Initiative, as well as Research Assistant and Assistant Project Manager at the Lebanese Development Network. She is a former Direct Dialogue Team Leader at Greenpeace International and is currently a Research Affiliate at the Middle East Institute for Research and Strategic Studies focusing on migration, gender, and politics, as well as international relations/law in general. She is currently appointed a Global Youth Ambassador for A World at School, a global Theirworld Initiative for the years 2017-2020 as well as the Head of Think Tank of the Global Arts and Politics Alliance based in Austria.